Shade attaches to frame by swag hooks while fixture hangs from ceiling by matching chain. Includes 6 feet of chain for height adjustments. Okay for use on slant ceilings. Simple can be elegant. The Hampton Bay Simplicity collection of fixtures includes this semi-flush in an oil rubbed bronze finish matched with frosted glass. 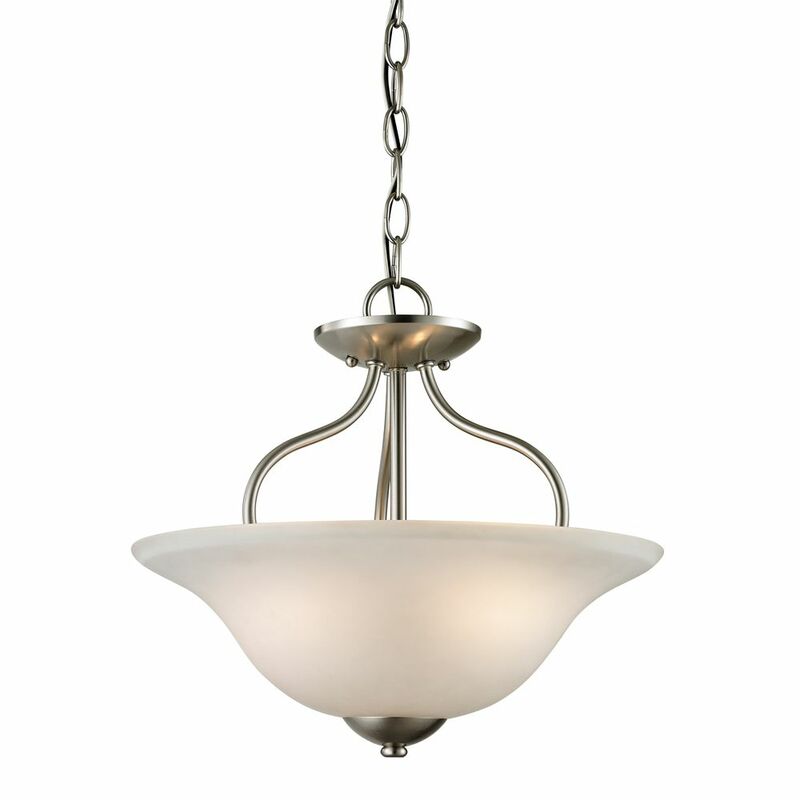 2 Light Semi Flush In Brushed Nickel This convertible semi-flush features a casual design with metalwork finished in brushed nickel and a beautiful white glass shade. Includes 6-ft of chain and 10-ft of wire for easy conversion to a pendant.